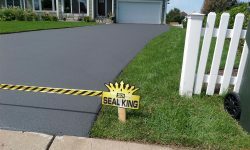 At Seal King we custom Blend our exclusive Seal king Sealer using the very best Raw Products, high performance additives, and special blackening agents. 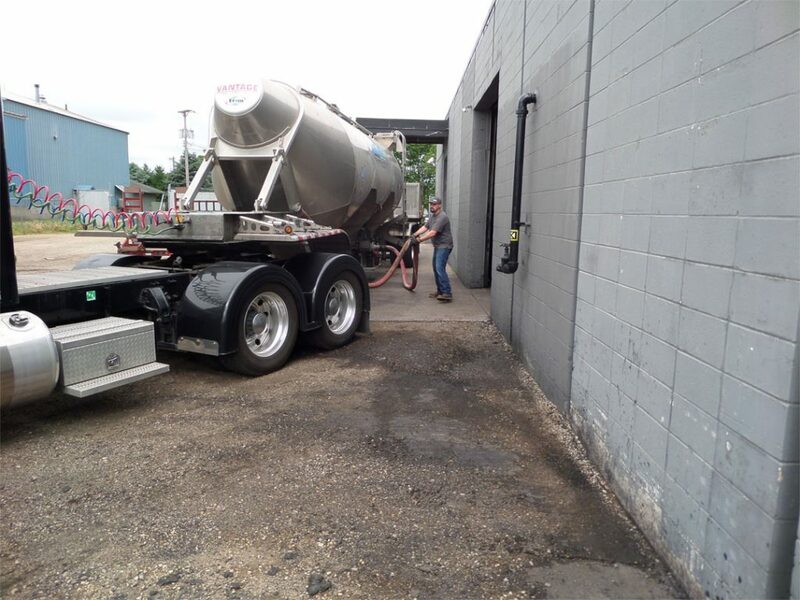 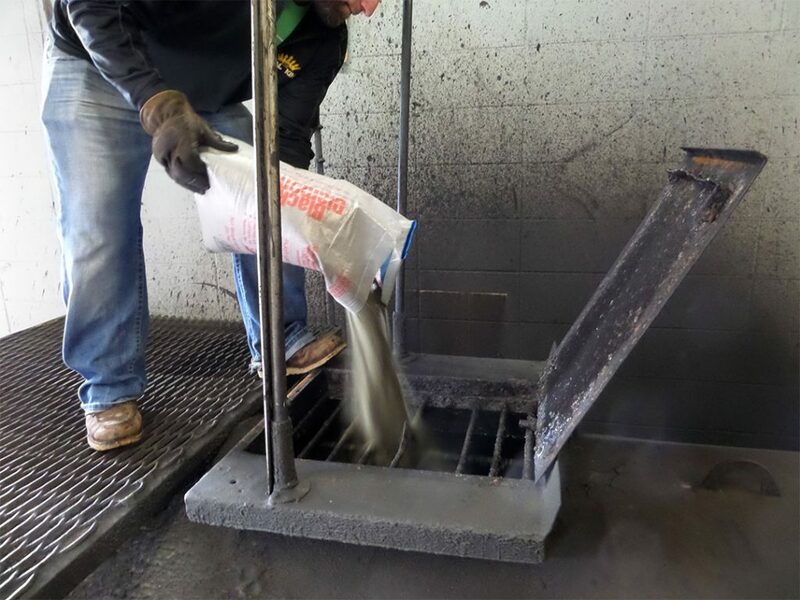 Our sealer is carefully blended together, with the latest hot mixing equipment and pumps, to create a precise mix every time. 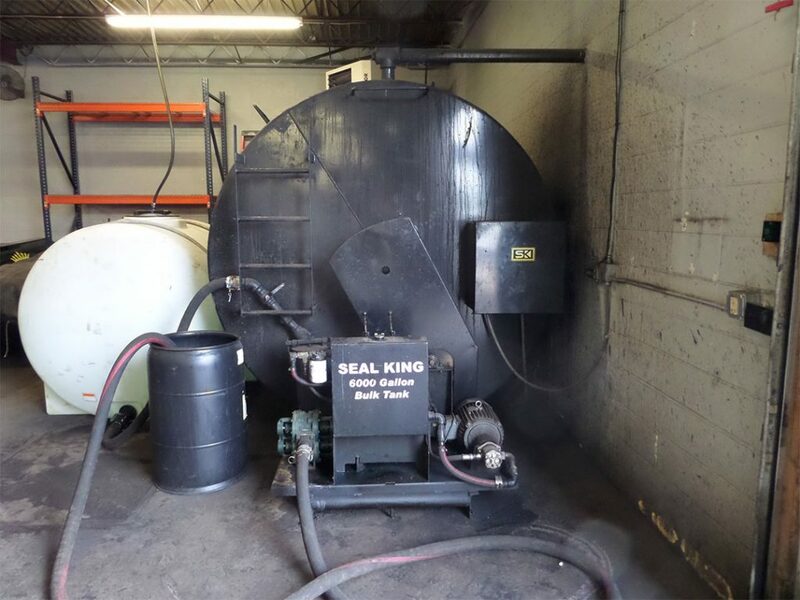 No other company takes as much care in preparing and mixing material as Seal King. 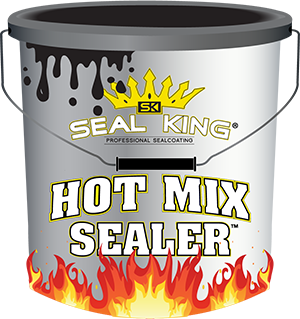 What is “Hot Mix Sealer” and how does it make our sealer better? 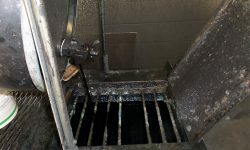 Concentrated sealer is delivered in its raw form about the consistency of pudding; unable to be used for sealcoating until properly mixed with water, coal slag, additives, and blackening agents. 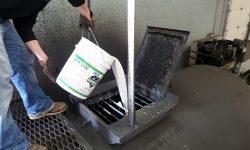 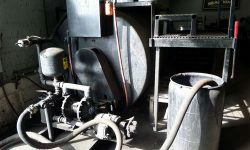 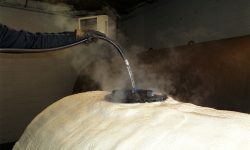 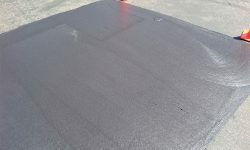 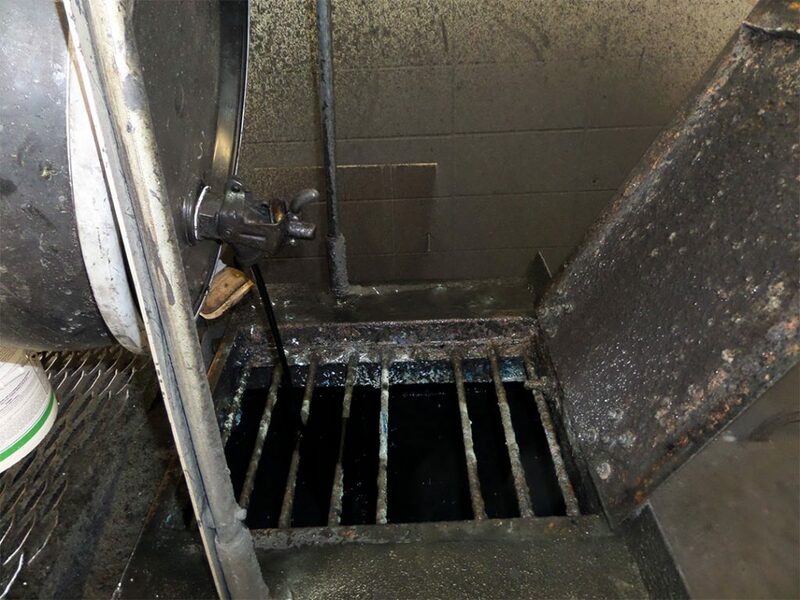 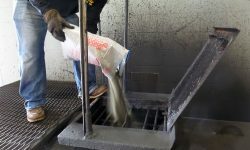 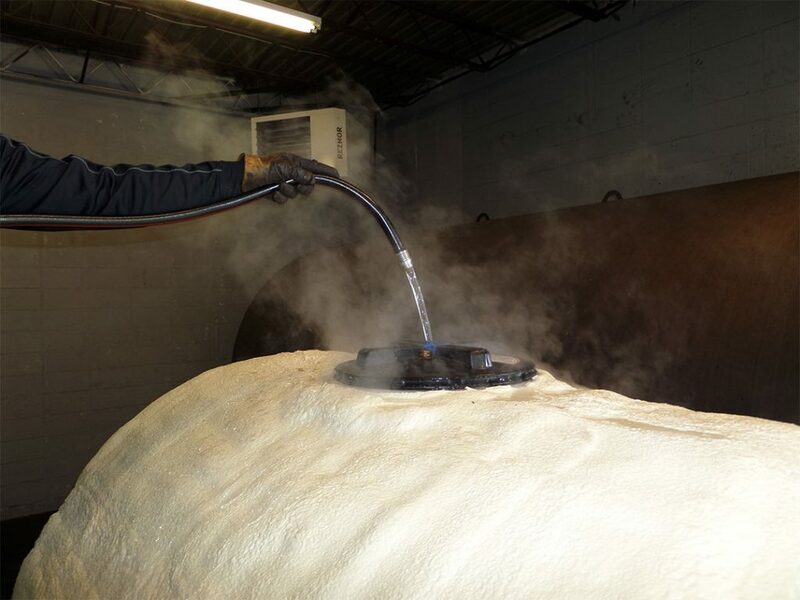 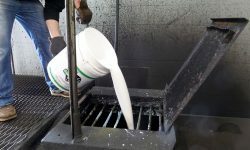 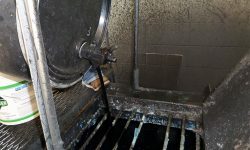 Water is typically mixed into the raw concentrated sealer directly from a spigot at a temperature around 50-55 degrees. 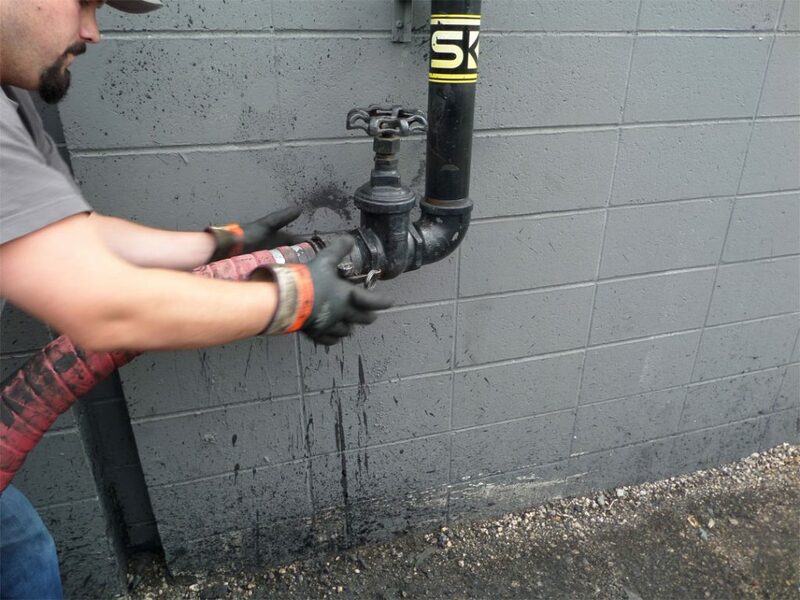 This has been the common practice for many years, and still done this way by many sealcoating contractors. 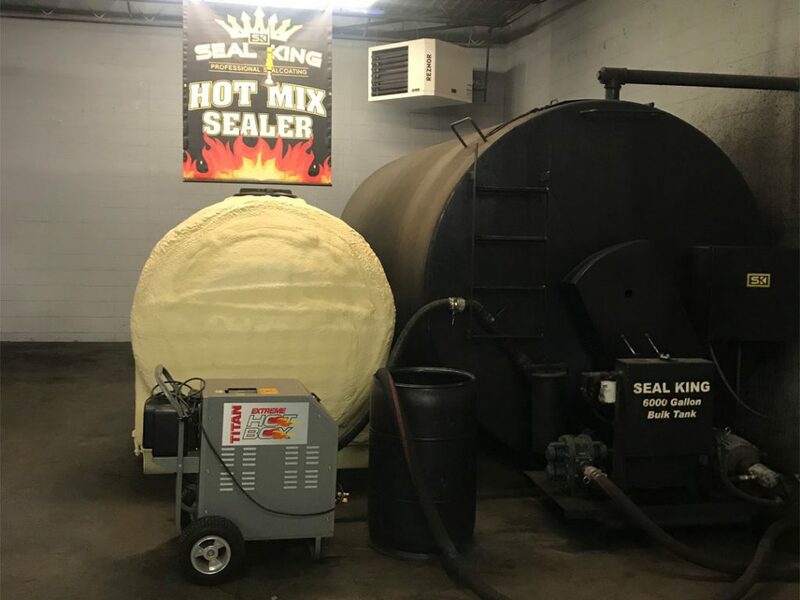 Seal King “Hot Mix Sealer” has taken this simple step of adding water to the next level, we “HEAT our Water” to approximately 110-130 degrees prior to introducing it to our raw sealer supply. 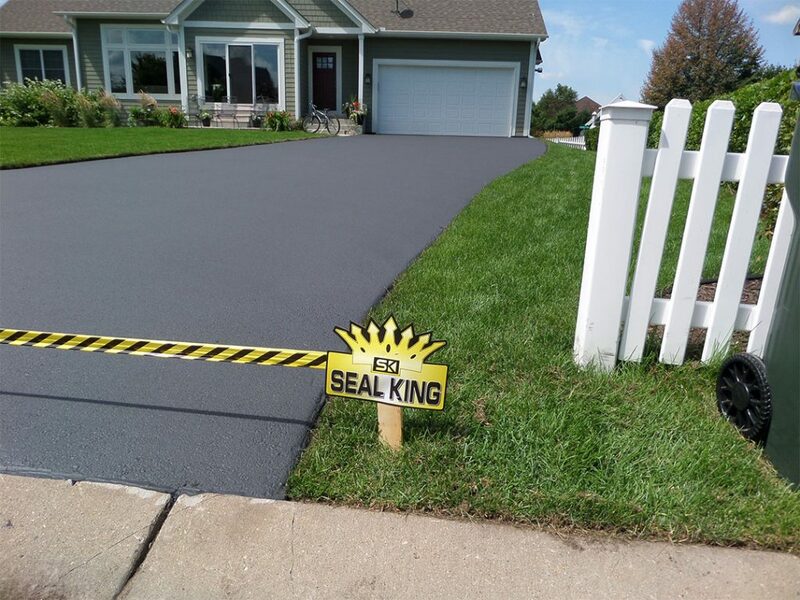 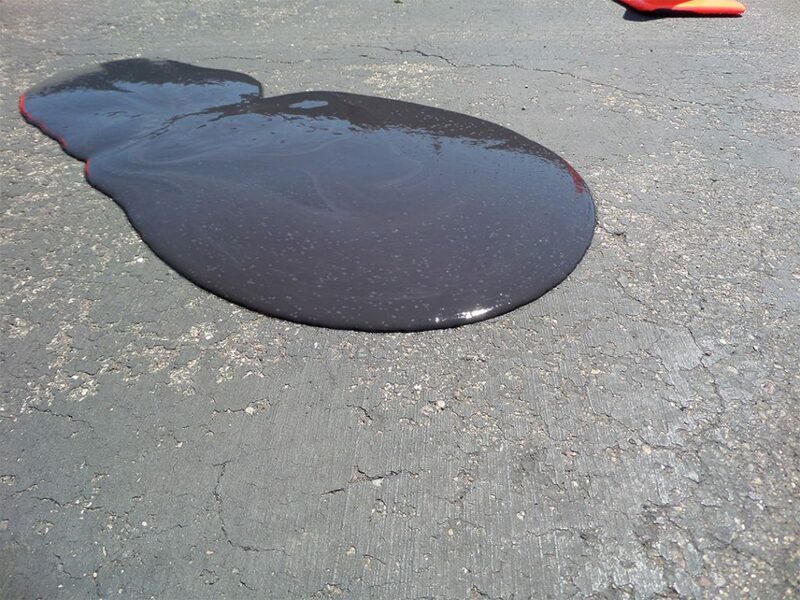 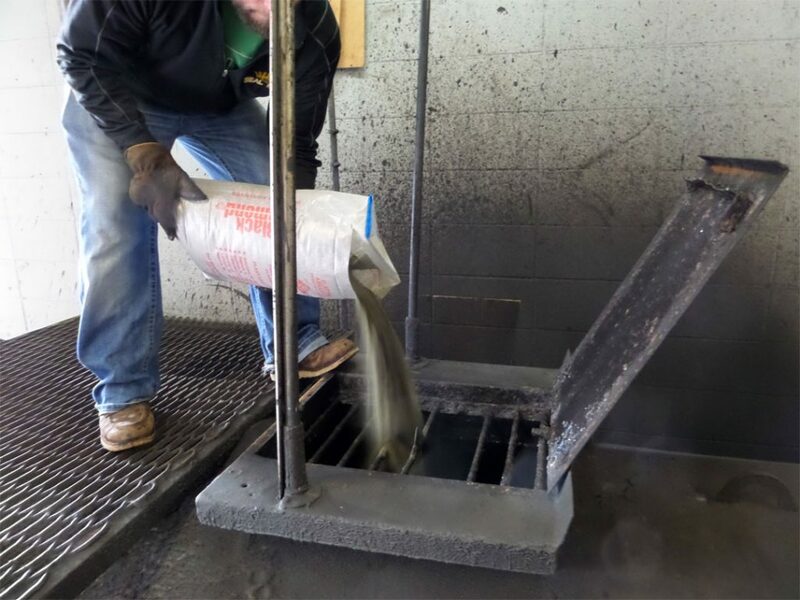 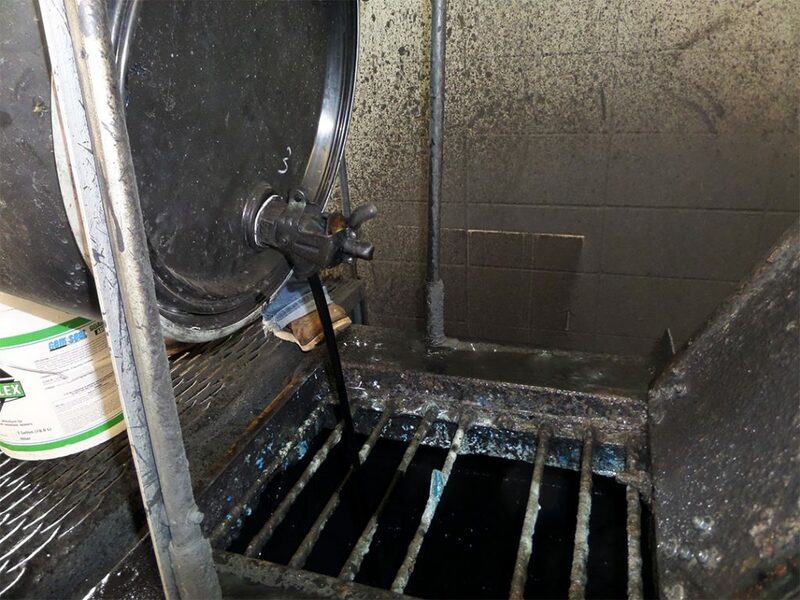 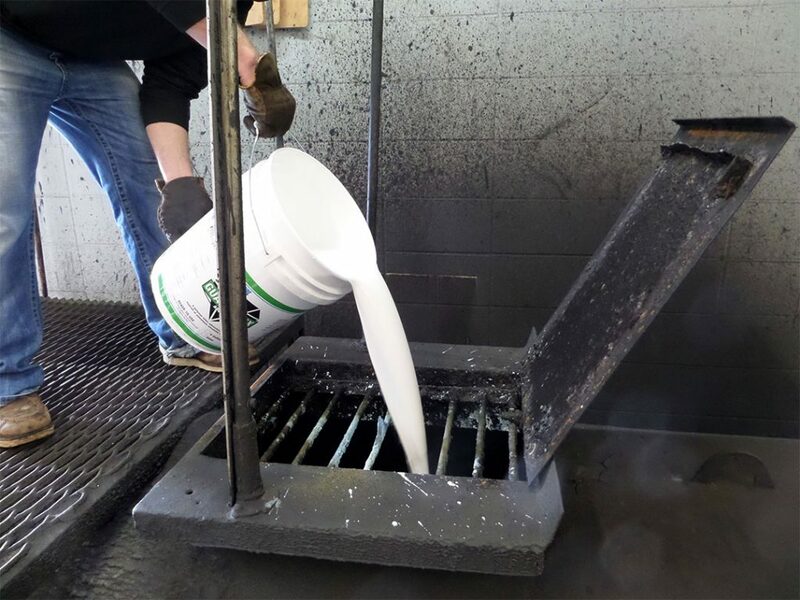 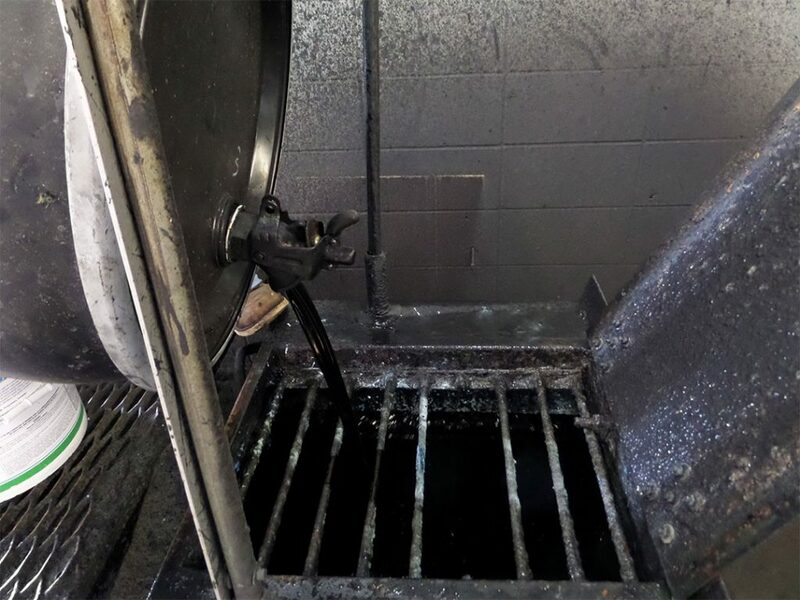 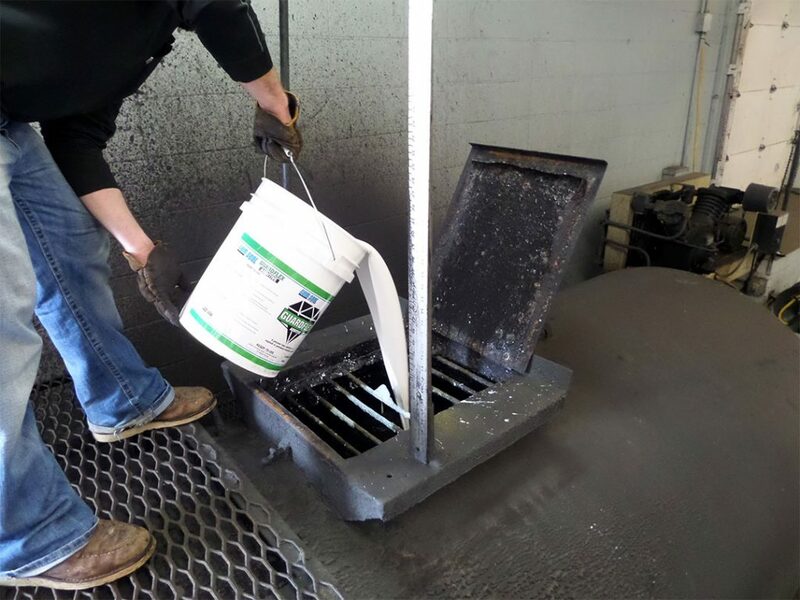 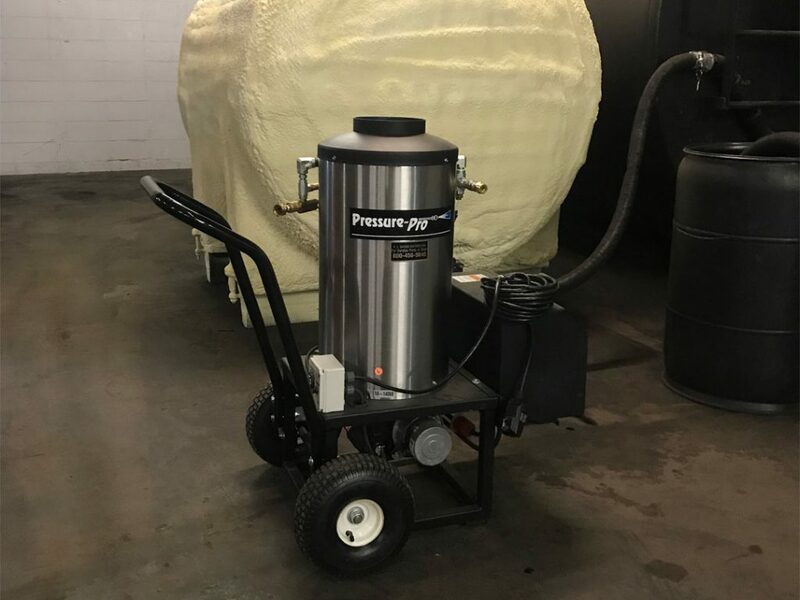 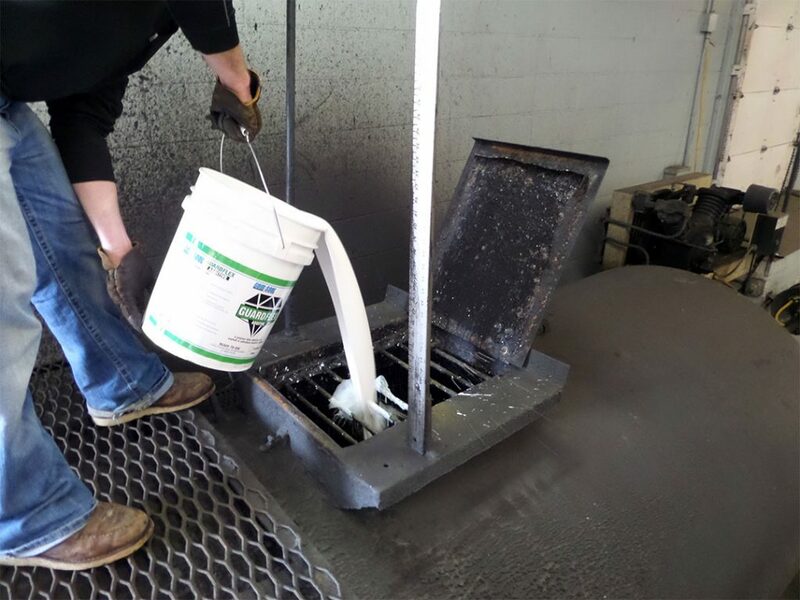 Hot water allows our premium petroleum-based emulsion pavement sealer to blend better with our select high performance polymer additives, Black Diamond Coal Slag, and Blackening agents to create our exclusive SEAL KING SEALER. 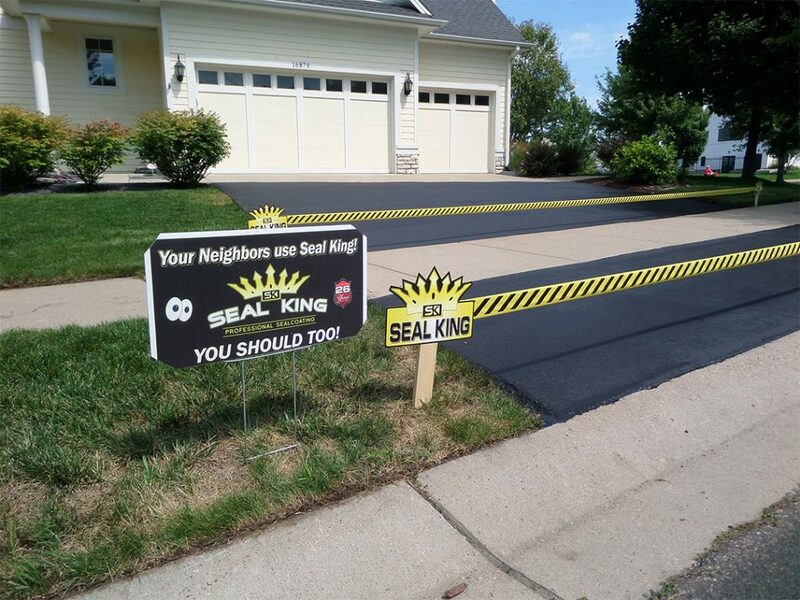 WHY would Seal King do that? 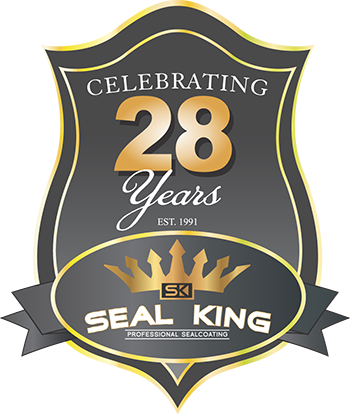 Seal king is a pioneer in the sealcoating industry and will continue to search out new products and new techniques to ensure we are applying the absolute best sealer in the industry. 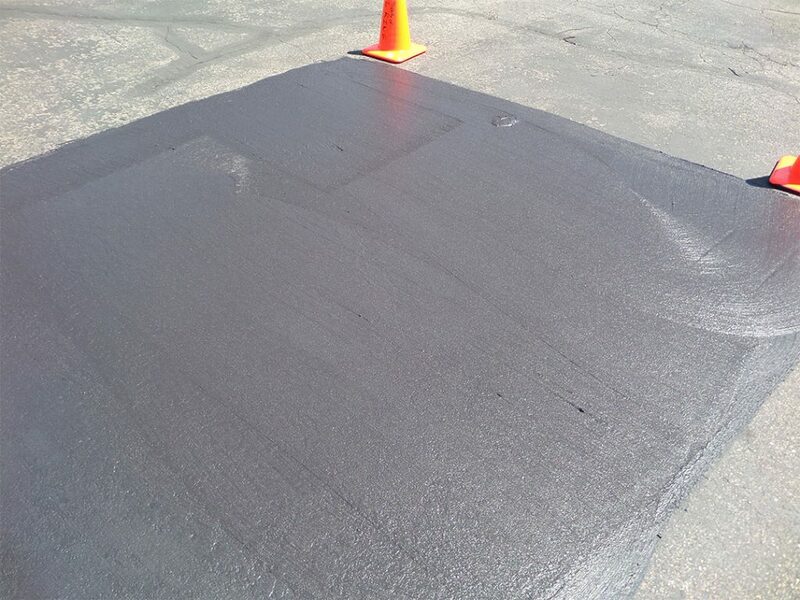 The first Photo below is a clear example of what you get when you go with a discount sealcoat company. 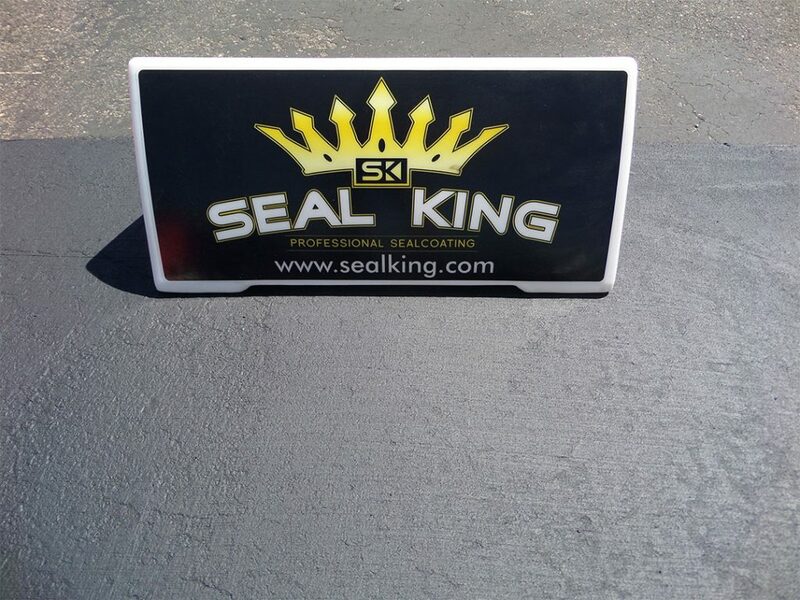 In the sealcoating industry we talk about good, better, and best in reference to sealer. 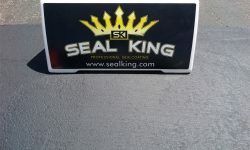 You can see what a poor quality sealer considered good or average looks like next to Seal King’s. 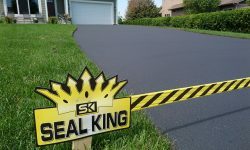 If a company ever claims to have the same sealer as Seal King ask these questions? 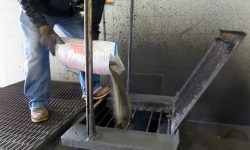 Who is Your Raw supplier? 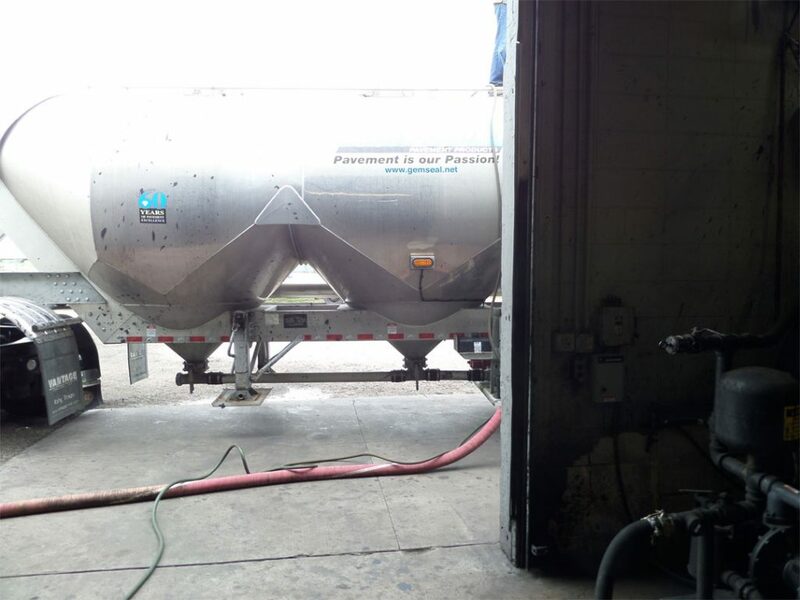 What percentage of Water are you adding to Mixture? 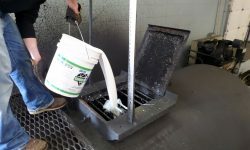 How are you calculating water? 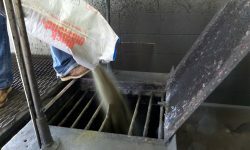 What Type Of coal slag are you using? 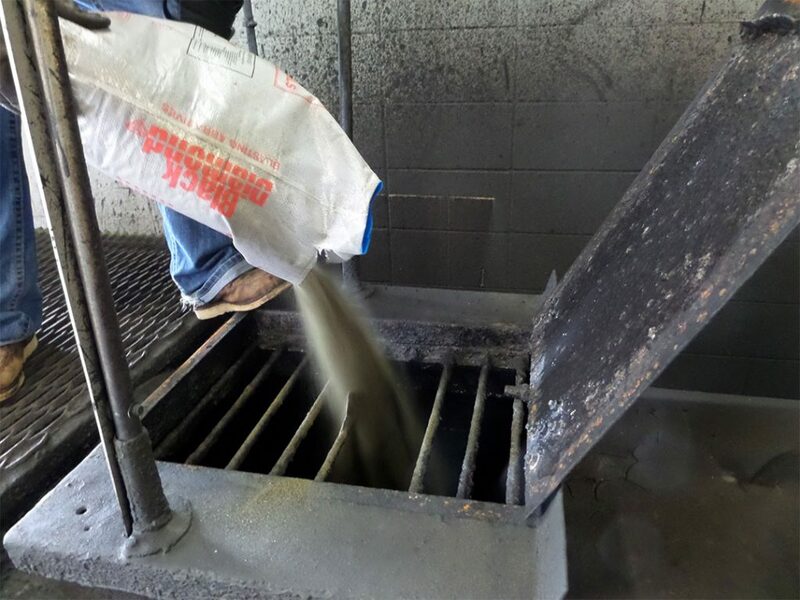 How much sand are you using? 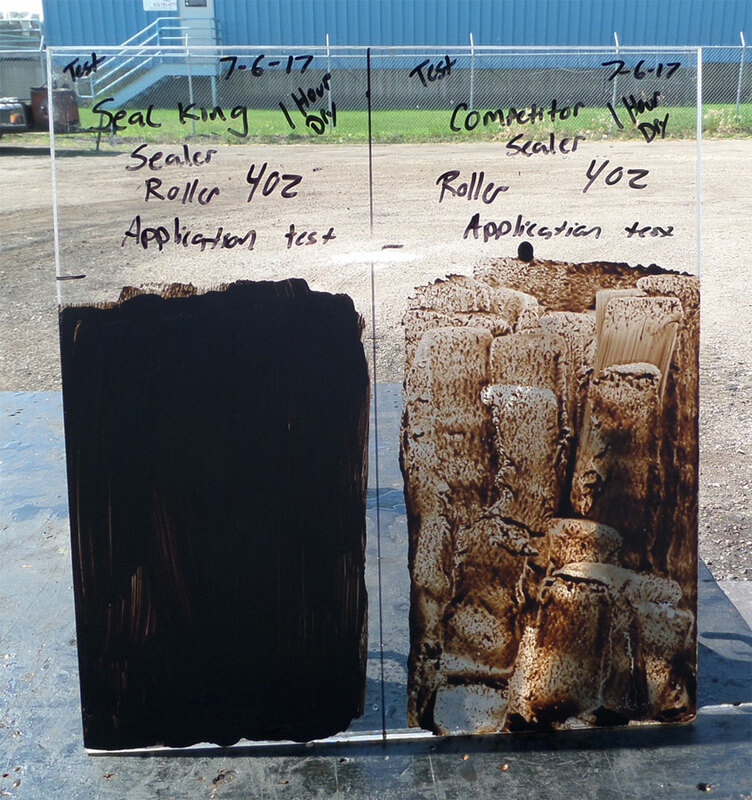 What type of High Performance additives are you using? 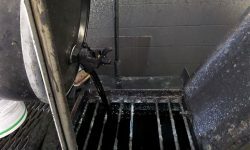 Are you adding any special blackening agents? 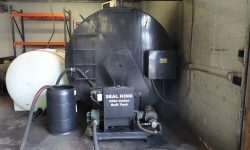 Where is your raw supply stored? 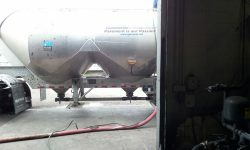 Inside or outside? 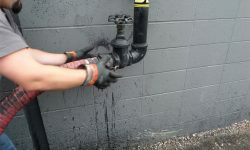 These questions will separate the quality contractor from the Discount $99.00 jobs. 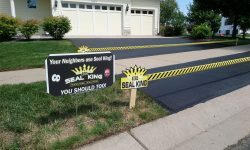 These questions will also separate the companies that continue to plagiarize Seal King. 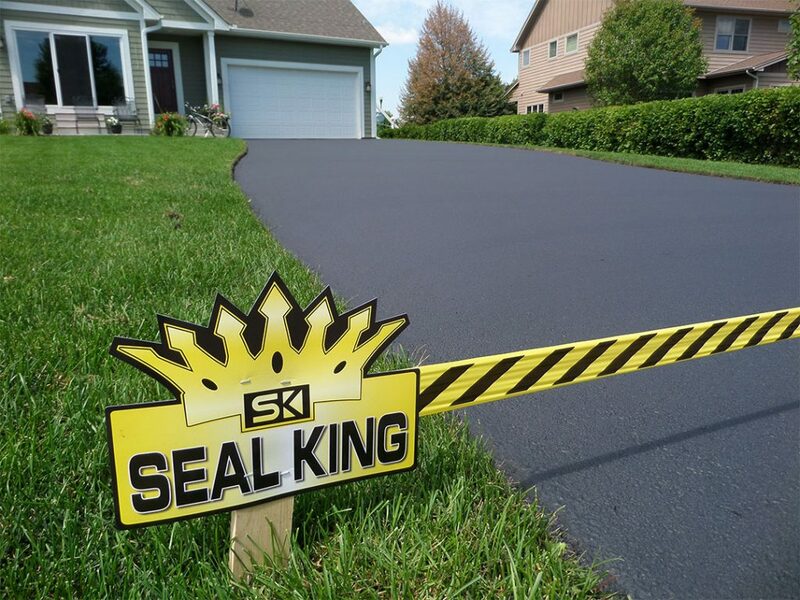 Choose Seal king and you will see what the Very Best Material looks like and how long it will last. 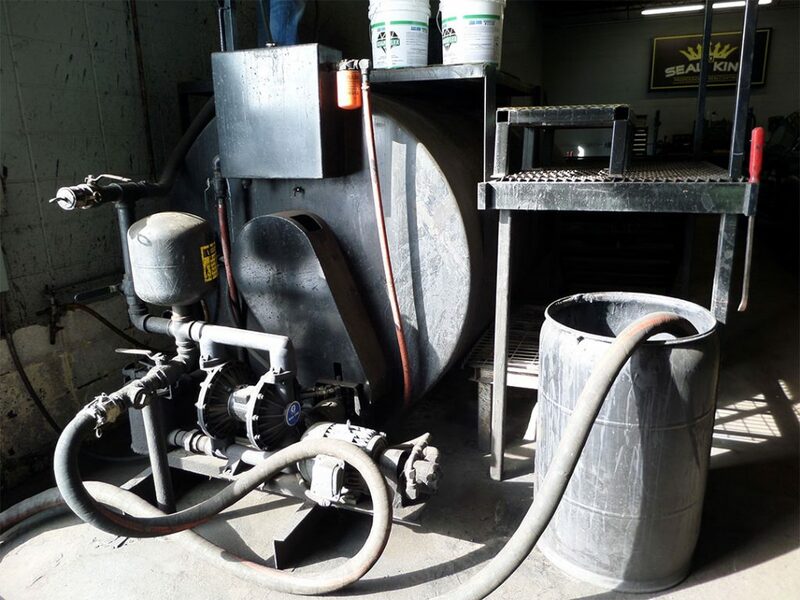 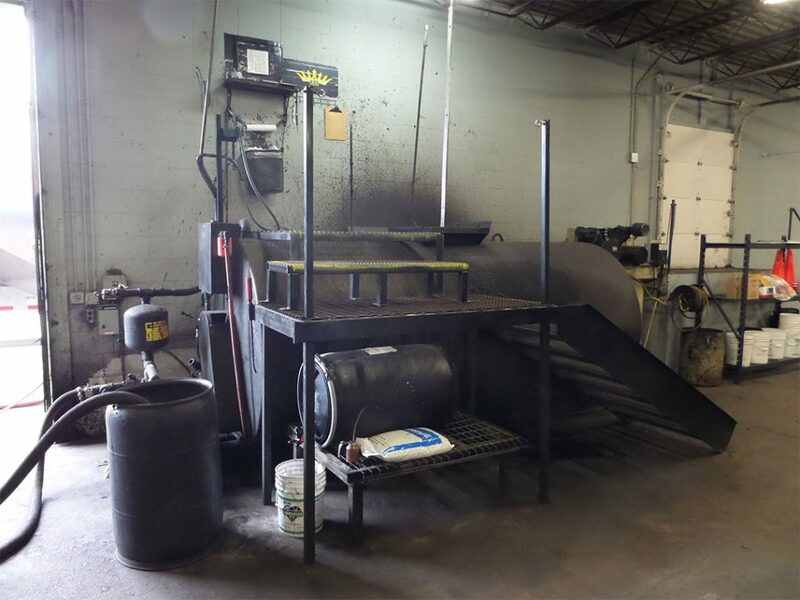 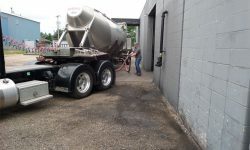 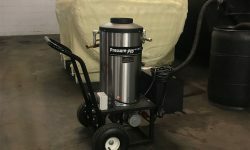 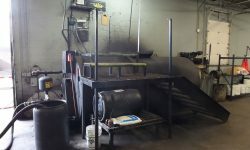 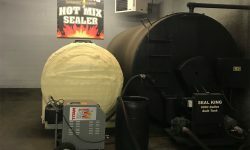 Below is an overview of our sealer before, during, and after our hot mixing process, and how we create our proprietary blend, along with some pics of our shop, and the final product. 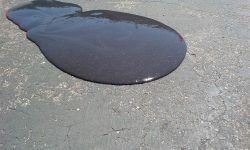 Click on an image to begin a slideshow, or navigate through it manually using the arrows.